This scene is self-explanatory. Done in watercolours in a very different style. 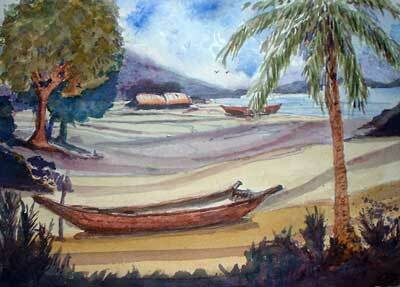 Attention was paid to the linear strokes on the ground, depicting the unlevelled beach.